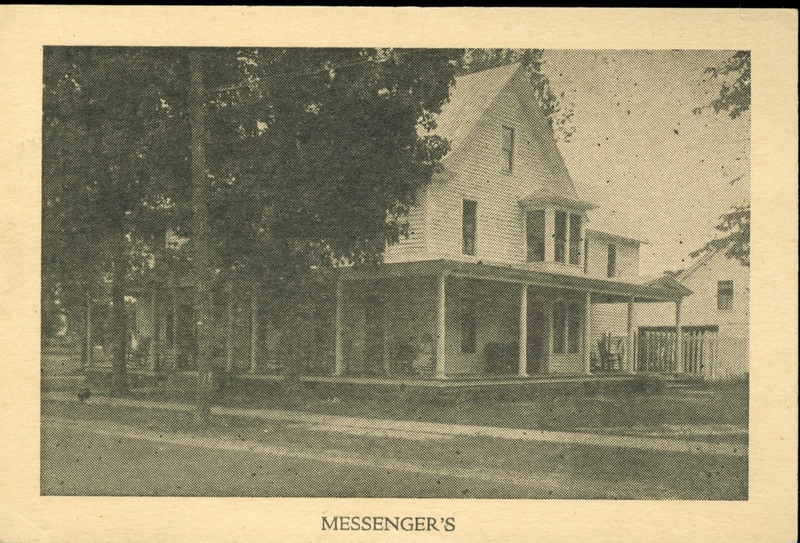 The Messenger House at 53 Hudson Street was built in 1911 by Martin L. Messenger, who was born in Stony Creek in 1855. He had owned a stage line between Stony Creek Center and Harrisburg, and a hotel and also operated a livery, before moving to Warrensburg in 1900 with his wife, May Millis, and their three children. The Messenger House served as a boarding house. In 1914 it advertised “electric lights, bath, telephone, and steam heat.” Rooms were $7-10 per week. As tourists became interested in the Adirondacks, it was a popular vacation stay, with fresh vegetables served from their garden. 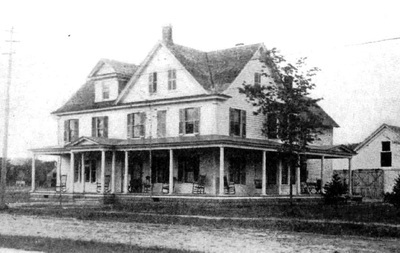 Their daughter Winifred married Percy Hall and they continued running it from 1921 until 1946 when they sold it to Mrs. Lesly N. Steiger, who continued running it as a boarding house. In the 1940s it was one of the residences approved by the Warrensburg Board of Education for single women teachers. Cassius Leonard Jones purchased and ran the Messenger House from 1954 through 1956. He was married to Madeline (Lindy) Jones. 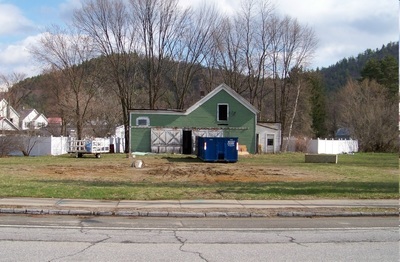 After his death, the property was sold to John Neuweiller in 1957. Sometime after that date it became a tavern, which persisted until March of 1988 when it was gutted by fire.